June 4, 2010 - A survey of 360 Anchorage residents conducted this week reveals hard feelings towards UPS following the start of its pilot furlough. A full 36% of Anchorage residents surveyed rated UPS a bad (24%), or very bad (12%), corporate citizen in Alaska and neighbor in Anchorage. 50% of the respondents said what made them think worse of UPS is the fact that it recruited and relocated 155 pilots and their families to Alaska. The majority of these pilots are now slated to lose their job as a result of the layoff. This was followed closely by 49% of the respondents thinking worse of UPS due to the $4.7 million in yearly unemployment payments that Alaska will have to make to furloughed pilots. The final major source of ill will among those surveyed was the $15 million in lost wages from Alaska resident pilots furloughed by UPS; 46% said that this made them think worse of UPS. In May, UPS began its first ever pilot furlough. UPS's announced intention is to layoff at least 300 pilots, approximately 11% of its 2,800 member pilots group, by the end of 2011. This layoff will have a disproportionate impact on Alaska. Of the 300 impacted pilots; 262 are domiciled in Anchorage (the 2nd largest UPS pilot base); 84 of the 262 are Alaska residents. 360 interviews were conducted using e-Rewards online panel of 6,579 residents of the city of Anchorage, Alaska, from June 1st to -3, 2010. This survey has a Margin of Error = + 4.9% at the 95 percent confidence interval. AmericanPublic.us, Inc. is an Arlington, Virginia-based public opinion research firm which focused on public policy and communications polling. Founded in 1990 and located in Louisville, KY; the Independent Pilots Association is the collective bargaining unit for the 2,800 pilots who operate the UPS Airline. The Independent Pilots Association has been working with UPS, for the past year to identify ways to cut operating costs to avoid any pilot furloughs. 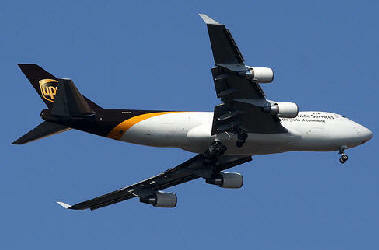 However, UPS announced plans to furlough at least 300 of its airline pilots in February.